It is a modern and stylish PSD template, which is designed for Wordpress CMS. It has an ideally matched color scheme, convenient and elegant slider on top of the blog. This template perfectly suits for blogs, portfolios, creative agencies and web studios. 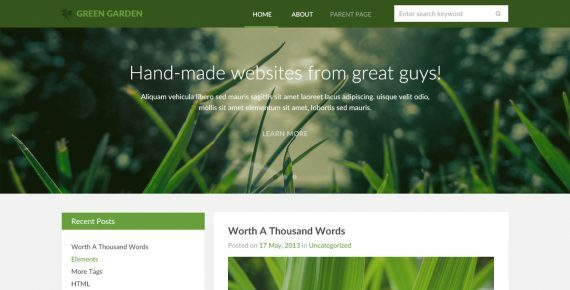 Green Garden is a single Page creative PSD Template with fresh, amazing, smooth & fun design. It is easy to modify styles and colors to meet your needs. The PSD file are easily customizable and fully layered. 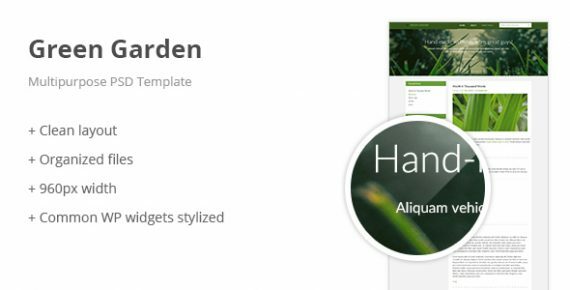 Avoid the hassle of designing your own style and make your work easier with Green Garden – Multipurpose PSD Template that allows you to create unique website. Enjoy!